Authorized Dealer Kenwood, Motorola, Talkabouts, Midland, business UHF radios. The product lines HQ98 carries are handpicked by our staff and offer some of the top names in wireless communication. 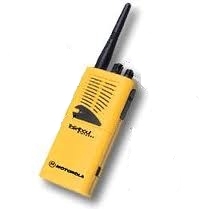 With professional business lines like Kenwood and Motorola dominating the two way market in the business sector it is a clear choice which two way radios have stood the test of time. BTW, here are few pictures of some of the original Motorola Talkabout models introduced back in '97. These units were much larger, heavy and most had no displays. Did you own one of these Original models, the 101 or the Distance DPS version. That one was a brick. We have specialized experienced professionals who are ready to help you no matter how diverse or complex your communication issue. Our professionals have a broad range of business experience and knowledge in dealing with small business, start-ups, construction companies, restaurants and large corporations as we utilize all the tools at hand and offer a 100% money back guarantee all the products we provide. 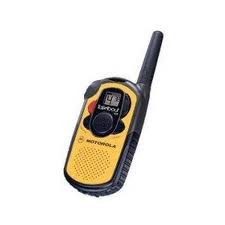 If you are new to two way radios or would just like a refresher course on some basic guidelines take a look at our Radio Tips page or our FCC Info page as they are filled with useful information. HQ98 believes in continuous and open communication. We listen to our clients' needs and expectations, and provide prompt advice and service. Please add your name to our mailing list. We don't ask for the kitchen sink, just your first name and valid email address or if you know your planning on making a purchase go ahead and set up your account ahead of time so checkout will be easy. HQ98 is currently offering Free Ground Shipping on all order regardless of size or amount. This includes APO and FPO military addresses. Take advantage of this limited time offer and save a few bucks. AK and HI are extra. We ship via USPS, UPS and FedEx. US orders only. Please take the time to enjoy our online eCommerce store and give us a call or email with any questions, concerns, price quotes or price match issues. We gladly will try to match or beat the best price you can find including shipping and handling charges on any product we offer. Please see our B2B / GOV Sales page for detailed information about volume purchases, credit terms, purchase orders, GSA SmartPay™ purchase cards and we ship to APO/FPO military addresses. We accept several methods of payment upon approval, including Money Orders, PayPal, Purchase Orders (on approval), Business Checks, American Express, VISA, MasterCard, GSA SmartPay™ MC & VISA, and Discover. You can add, follow, take our feed... and of course we will always keep you updated with the newest releases, specials and important information about your radio needs.